Our tradition for Mason’s birthday is to take a little trip each year at the end of October. This year, we went to Nahlap Island Resort. Once a very popular spot, Nahlap is no longer frequented by guests and is a bit run down. The island is a short 10 minute boat ride from the main island of Pohnpei, and Mason and I were the only people on the entire island this weekend… as in we were completely alone, except, of course, for our furry feline friend! Music: “The Only Place” from the album “Songs We Wish We Wrote” by Joseph and Maia, courtesy of noisetrade.com. Mason and I have attended quite a few events here in Pohnpei recently, and we haven’t been blogging about them like we should. Instead of doing proper posts about each event, we are going to give you the condensed version. 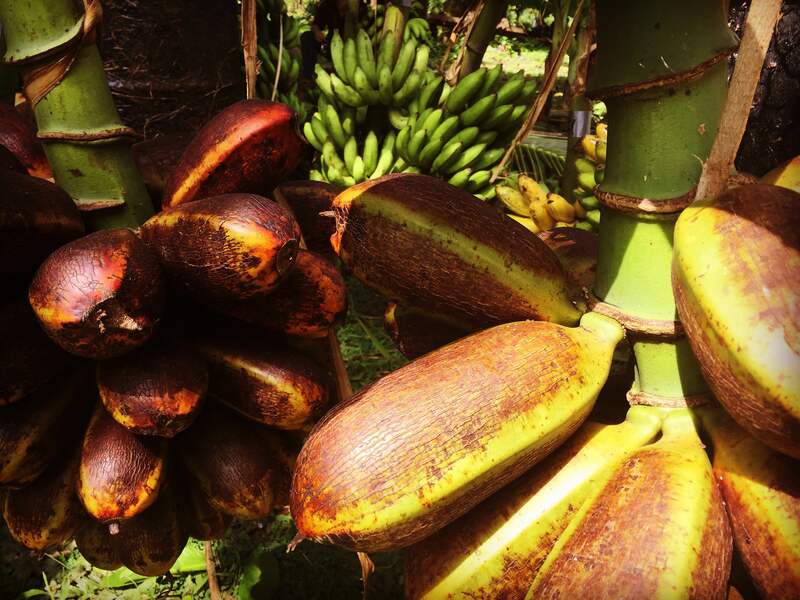 A few different varieties of bananas that grow year round on the island. Here on Pohnpei, World Food Day was celebrated on the compound of the Island Food Community of Pohnpei (IFCP). IFCP is located in the Pohnpei Botanical Garden in Kolonia. The non-profit was created in 2004 to help alleviate food related health problems by promoting local, healthy foods. 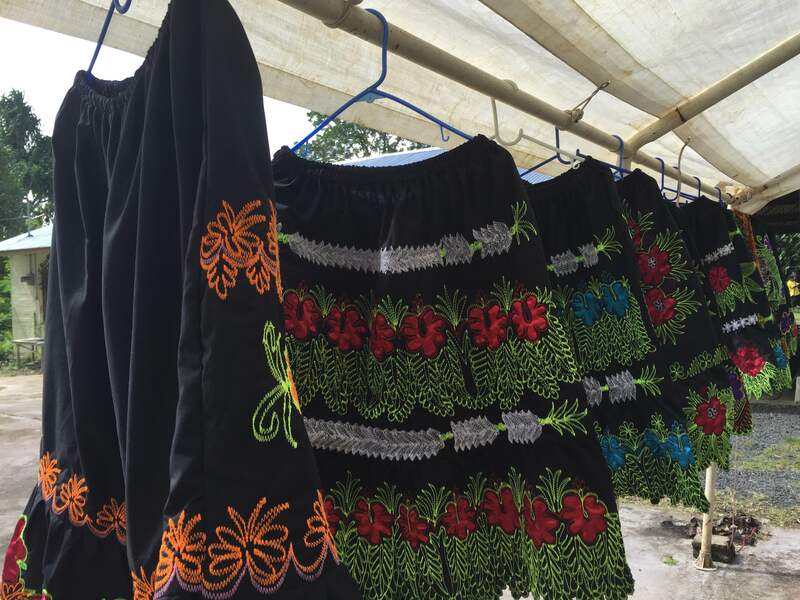 Local Pohnpei skirts for sale. World Food Day 2015 was a delightful event despite the majority of local crops being destroyed by the drastic storms the island experienced in the spring. Local foods were on display around the compound by local farmers. 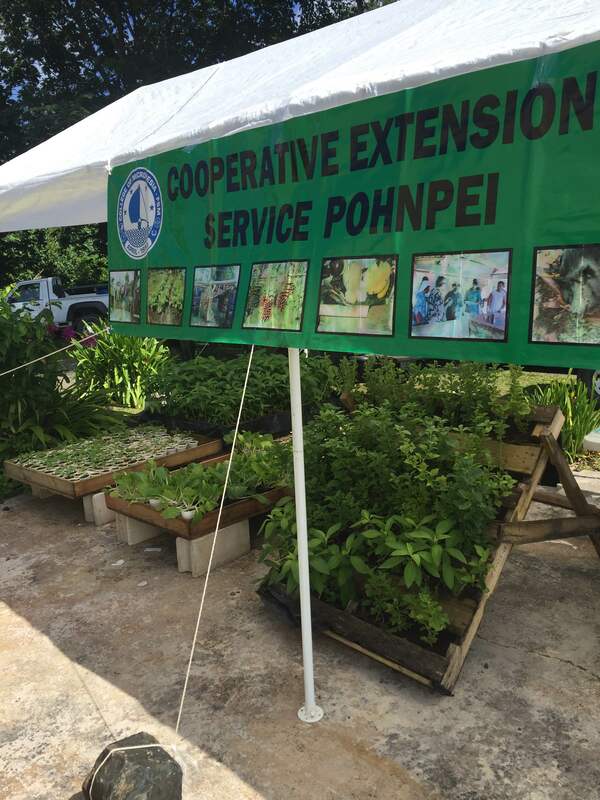 The College of Micronesia’s Cooperative Extension Service had seedlings on display in various types of containers to give local people examples of ways to grow local produce. IFCP had demonstrations for event visitors, including how to make flour out of healthier local plants, and many local crafts were on sale all around the compound. Mason and I attended the Japanese festival hosted by the Japanese Embassy. The event was held in the gym of the local Catholic high school in Kolonia, and it was a busy affair. People from many different nations participated in a traditional Japanese dance, and there was a photo booth for people of all ages to dress up in traditional kimonos for a picture. Each corner of the gym had something for visitors to enjoy, including traditional music, story telling, and calligraphy painting. I had my photo taken with my landlords’ daughter in the kimono photo booth! 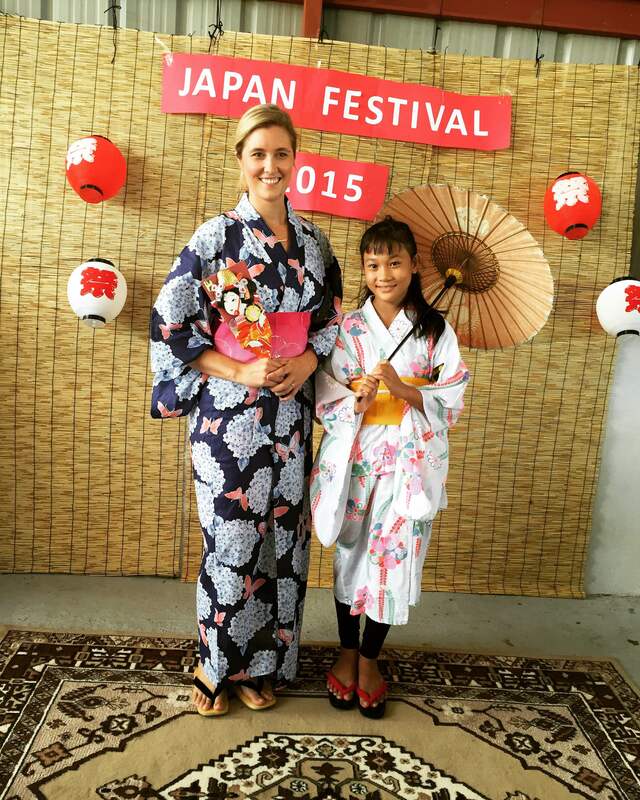 2015 Japanese Festival photo booth with my landlords’ daughter. It seems as if there is a fishing tournament every weekend here on Pohnpei. Maybe that is because we live on a tropical island… Mason and I attended the weigh-in of the True Value 22nd Annual Fishing Tournament. The weigh-in was held on the causeway between the main island of Pohnpei and the airport. 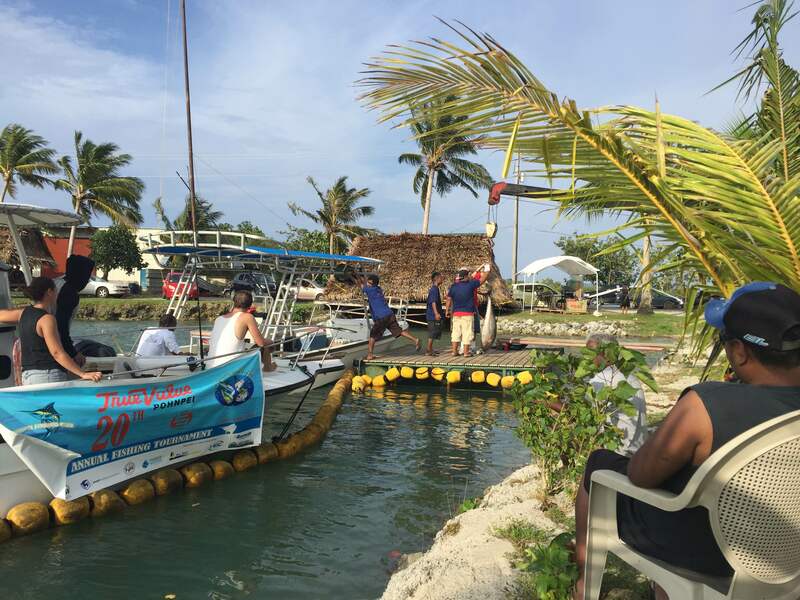 True Value 22nd Annual Fishing Tournament Weigh-in, Pohnpei, FSM October 2015. Locals and expats alike participated in the tournament. We heard that the catches that day were not as good as they usually are. There were quite a few of 15-25 lb fish on the scale, but we did see a 92 lb tuna and large sword fish. The weather held up until the very end of the weigh-in, and all the fisher-men and -women seemed to be in high spirits. The International Day of the Girl Child is a United National holiday celebrated on October 11 each year. The holiday was created in 2011 to recognize the unique challenges that girls face all around the world. This year’s theme was “The Power of the Adolescent Girl”, and last week, the US Embassy Kolonia and the College of Micronesia co-hosted a panel of six local women who discussed the power of girls. The event was open to the public, and three of the local high schools gave all of their students a half day to attend the event. The panel included six Micronesian women of varying ages and backgrounds, including a lawyer, nurse, and congresswoman. Each shared empowering stories of their perseverance despite the hardships they faced due to their gender. Their interactive discussion seemed to speak to many of the young girls and boys in the room. 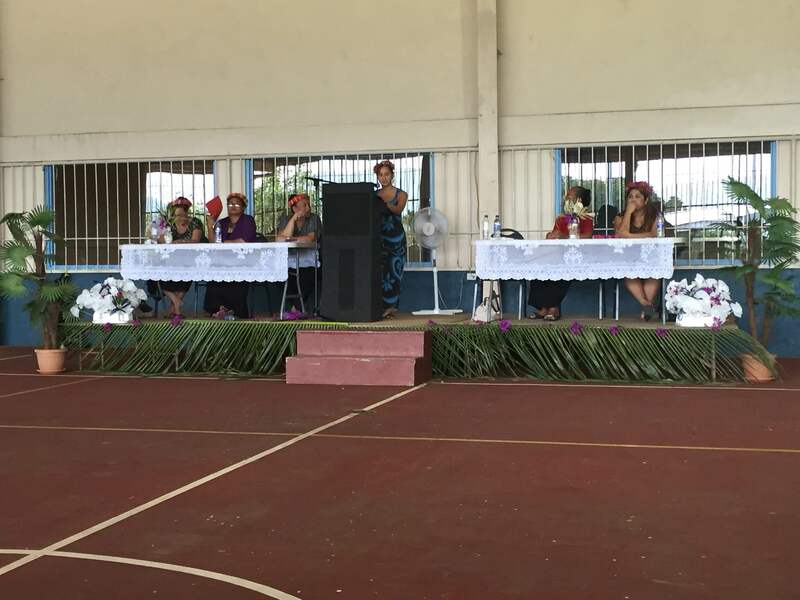 International Day of the Girl Child 2015 event in Kolonia, Pohnpei, FSM. Music: “Dream Lover” from the album “Songs We Wish We Wrote” by Joseph and Maia, courtesy of noisetrade.com. The Missoula Children’s Theatre, sponsored by the U.S. Embassy Kolonia, produced “Sleeping Beauty” at one of the local high schools here in Kolonia, Pohnpei, FSM. Students of all grade levels were cast from various schools throughout the island of Pohnpei, and two of our landlords’ daughters starred in the show. The show was held in an open-air gym at the local catholic high school on a very windy Sunday. In fact, we were told that many of the stage hands were backstage holding the set for much of the show so it would not blow over in the wind! The student actors were given their roles last Monday, and they only had four days to rehearse the play before the first of three performances! The student actors performed “Sleeping Beauty” on Friday, Saturday, and Sunday this past weekend. We attended the Sunday show, and had the pleasure of meeting U.S. Ambassador to the FSM Doria Rosen, who introduced the play to the audience. During the play, we sat next to our landlords’ many nieces, who were thrilled to be watching their cousins on stage. It was a fantastic way to spend a Sunday on this tropic island in the Pacific.